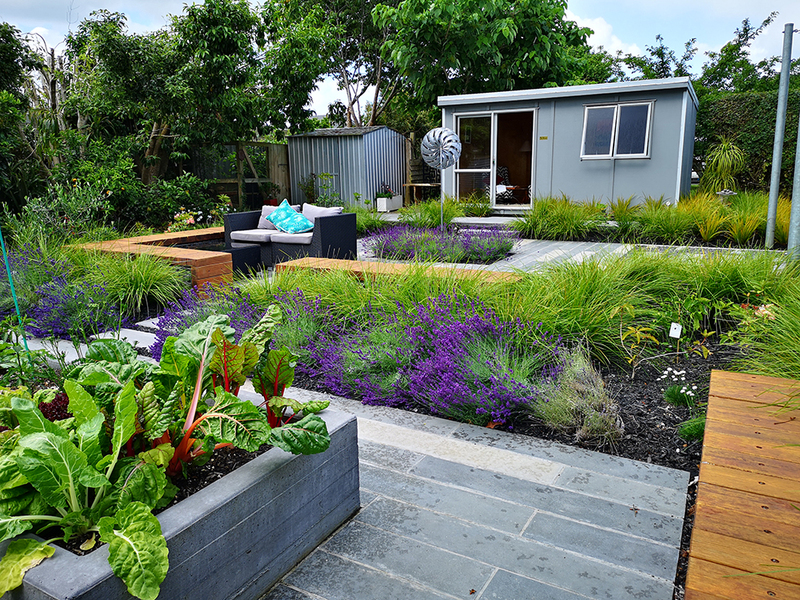 This suburban rear garden was relatively untouched for years and had slowly evolved with little structure or function. 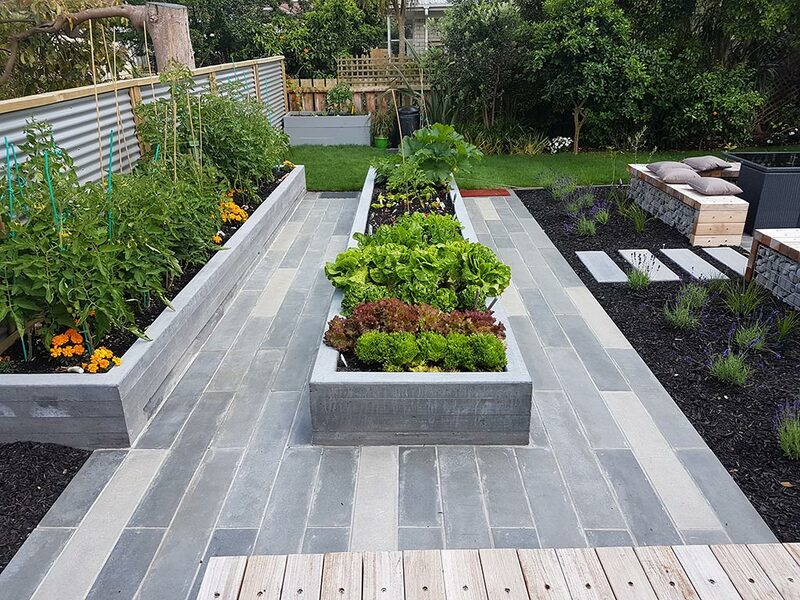 The client’s goals for the space was to create a functional, clean lined contemporary space with some industrial influences. 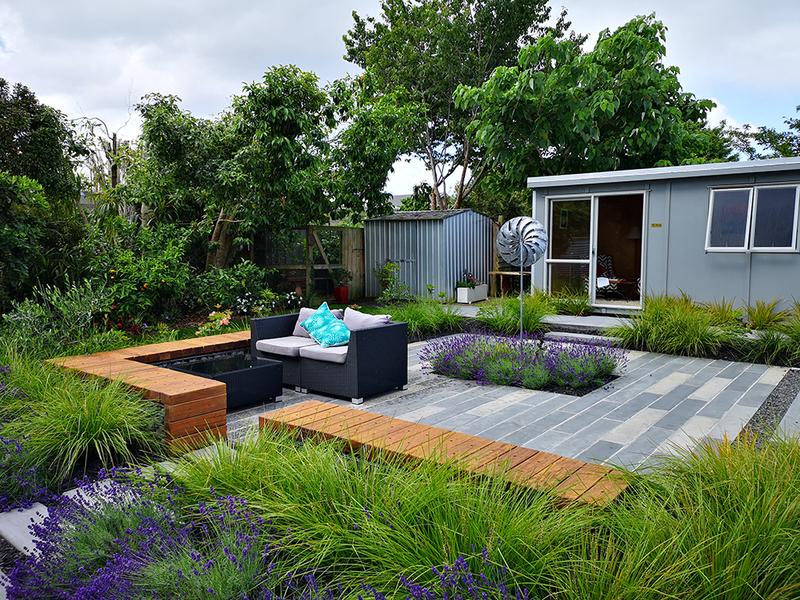 Key features that had to be included was a courtyard that extended off the existing deck, raised vegetable gardens and a studio work space. 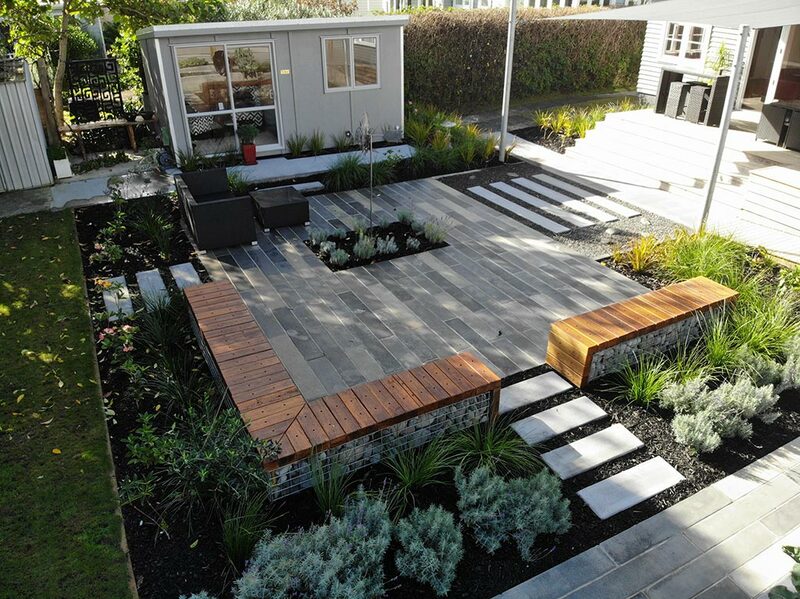 JD Landscape Architecture designed the rear section that is divided into three key spaces. The old pre-existing shed was removed and replaced with a small studio or office space that overlooks the garden creating a peaceful space to relax and work. 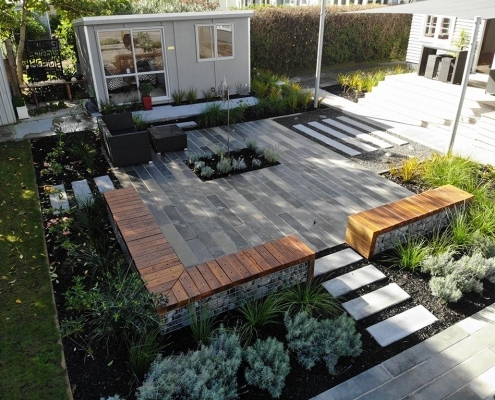 The main space is a paved courtyard that acts as an extension of the existing deck. 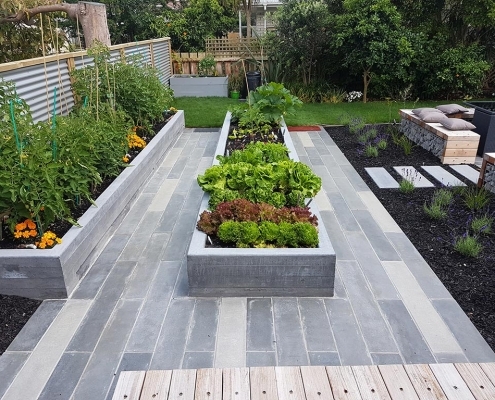 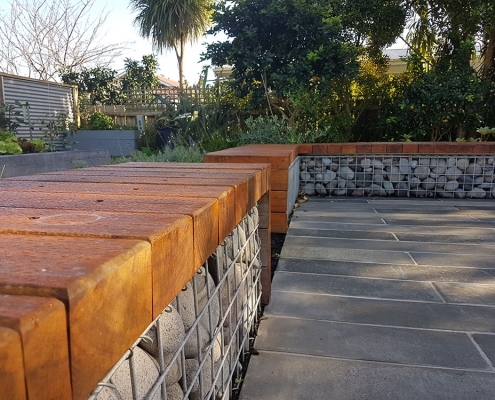 Running along the Western boundary is board formed concrete raised planters, the same pavers are used around the planters creating some continuity with the main courtyard. 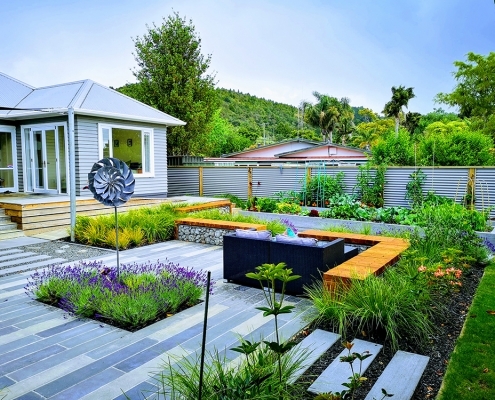 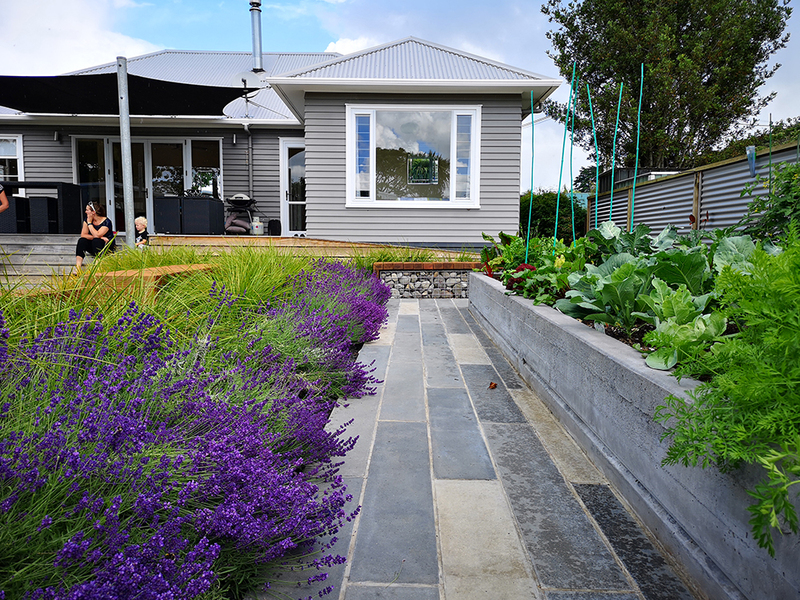 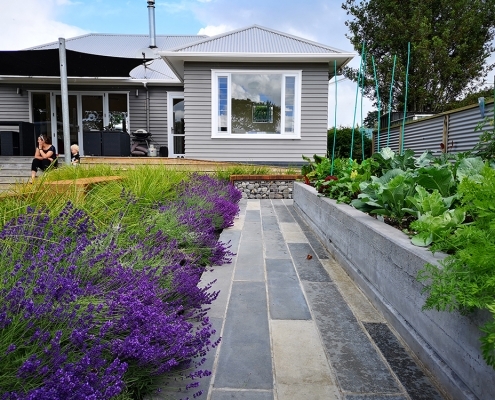 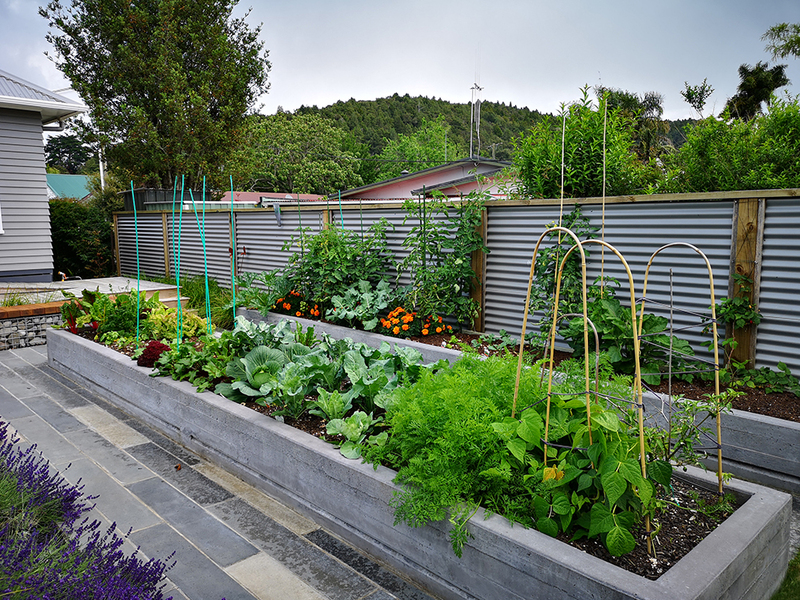 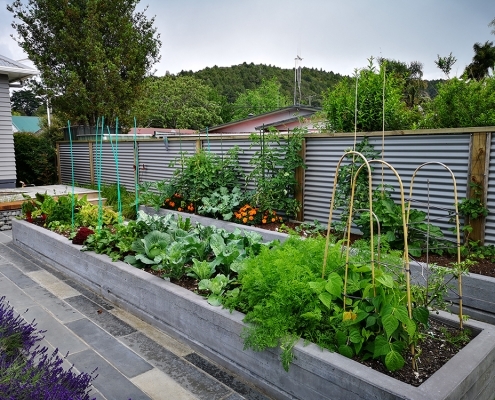 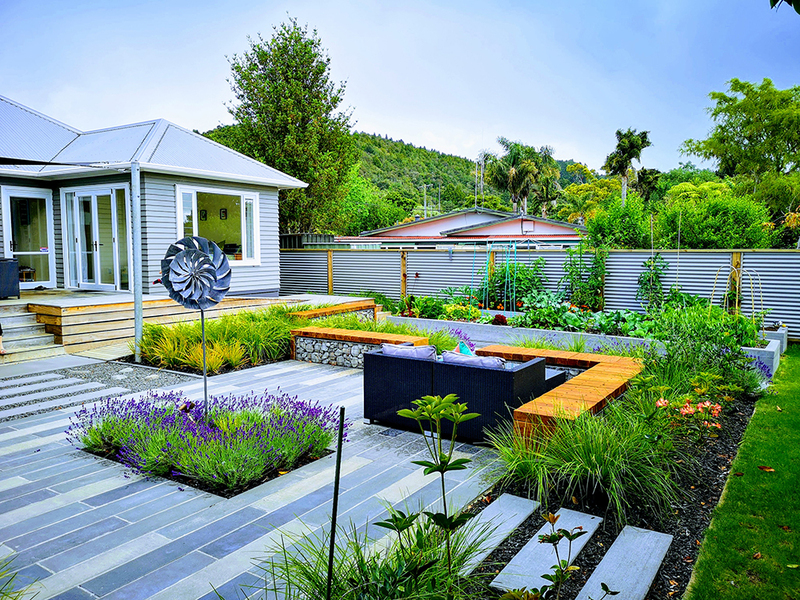 The transition from the home out into the garden is via the existing steps or a 1 in 12 ramp. 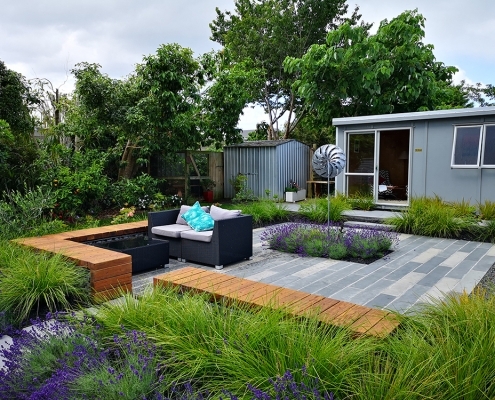 Spaces and connections between the spaces are smooth, fluid and allows the space to be highly functional. 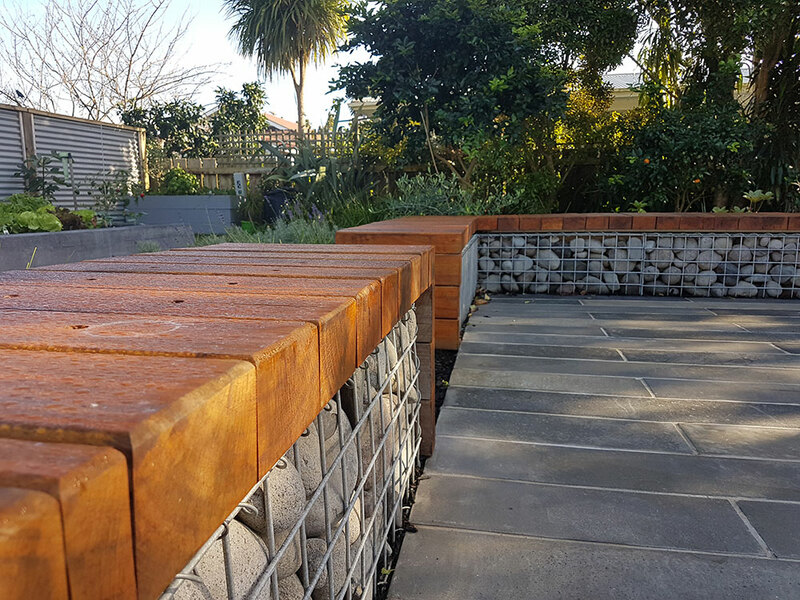 Gabion baskets with red gum slat capping are a feature piece in this landscape and create seating that wrap around the courtyard. 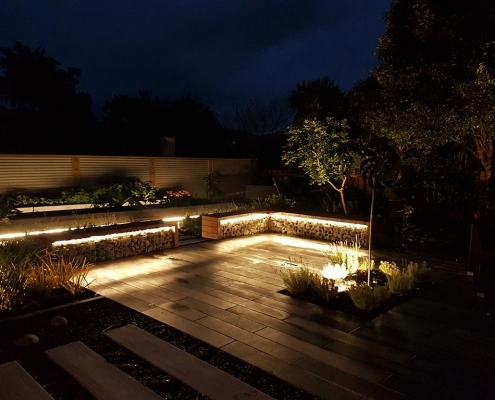 Custom LED strip lights run horizontally in the seating and the raised planters to highlight the clean linear design. 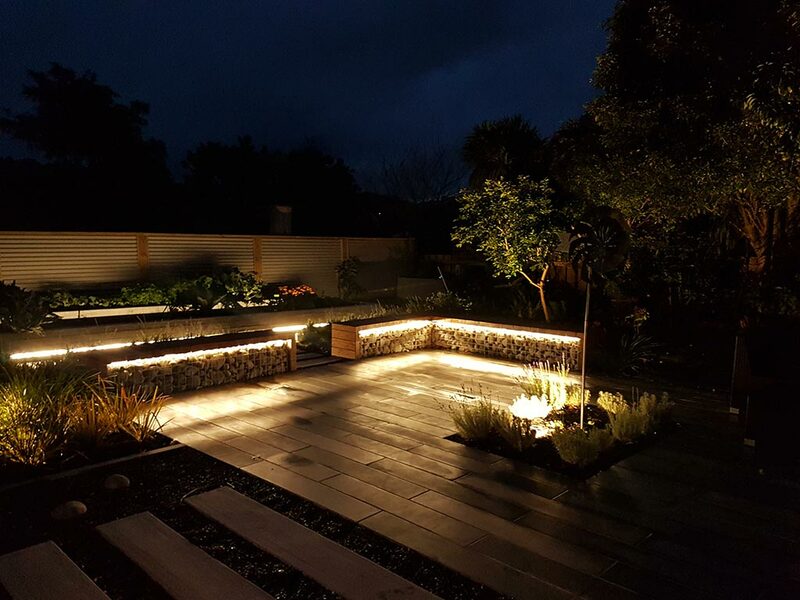 Spotlights are positioned to be able to upplight key areas of the garden. 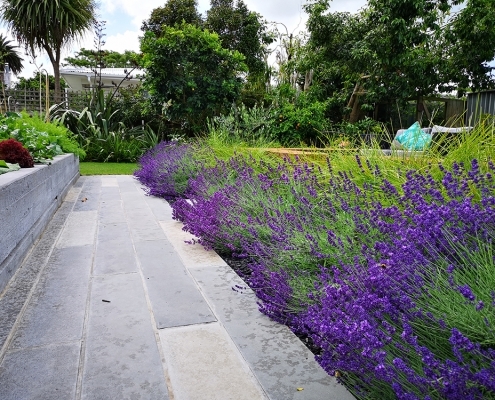 Mediterranean themed planting softens the hard surfaces creating a balance between the hard and soft landscape.